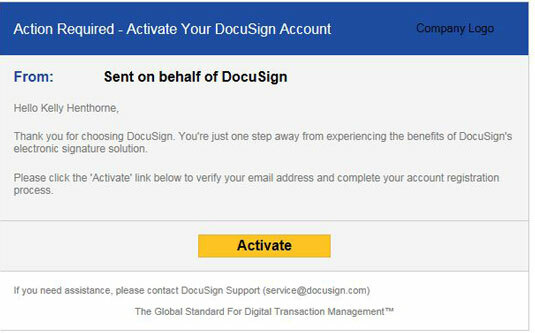 What Is DocuSign and Where Can You Find It? Go to DocuSign and click the FREE TRIAL button. 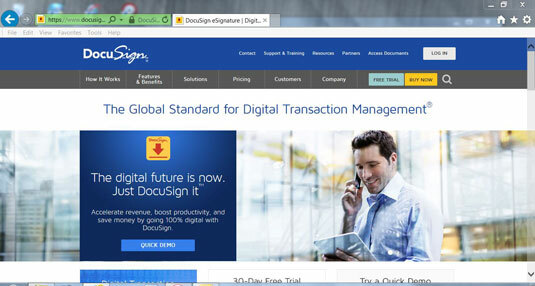 Of course, if you know you want to purchase DocuSign, go ahead and click the BUY NOW button. The free trial is available for 30 days. After that, you’ll need to purchase DocuSign to keep using the software. Current rates are $20 per user per month if you pay annually. 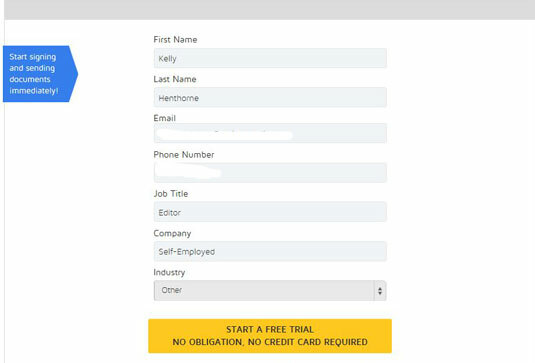 Fill out the information fields and click the START A FREE TRIAL button. Note that you don’t need to supply a credit card to activate your free trial. This is a great if you need to sign a document or two for an unusual situation or have a one-time contract. The Thank you screen appears. Go to your email and activate your account. Clicking the Activate button in the email you receive brings up the Activate Your Account screen, which asks for a password (minimum of 6 characters), confirming password, and for you to select a security question from the drop-down list. Enter the requested information and click the Activate button at the bottom of that page. 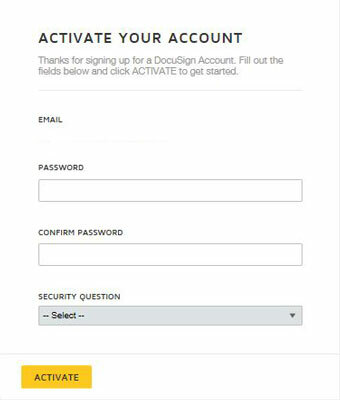 You are taken to the DocuSign Home screen where you can start using DocuSign immediately.